A guide to backseat driving for the freshly minted. Maybe your tech start-up just hit a record IPO, or maybe the business you started growing in college has just gone international. Perhaps a rich relative you didn’t know passed away, or you got crazy lucky and won the lottery. Maybe, you're really good at Instagram then got a reality show deal and you’re now rolling in douchebag cash. Any which way, once you’re stinking rich and have filled your garage full of awesome sports cars, it’s time to think about that fact you don’t actually have to drive yourself around. You can pay someone to drive and buy a car to get you around the city or to all of those functions and parties you're now being invited to. But what do you choose? Well, these are the cars we think you should be checking out first. The S-Class excels in many ways. It exudes class without getting ostentatious and is engineered within an inch of its life to give a ride so comfortable you could forget you’re touching the road. But, for the freshly minted celebrity, the S-Class is beautiful and stylish but not to the degree it’ll take attention away from you as you exit onto the red carpet. 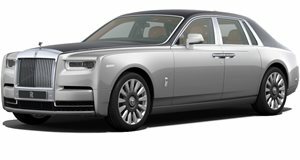 A Rolls-Royce is a no-brainer for traveling in style and showing off your wealth. It also satisfies the car enthusiast's desire for big power, fastidious engineering, and exacting refinement. If we were driving ourselves, we would choose the Rolls-Royce Ghost. However, for sitting in the back, we’ll take the next-next level ride comfort and feature set of the Phantom that's squarely aimed at keeping the passengers relaxed for the journey and refreshed for the destination. For the sports car enthusiast that wants to be driven around in a performance hybrid, Porsche has the perfect mass of contradictions ready and waiting in its lineup. 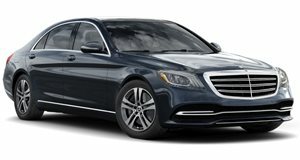 There’s 677 combined horsepower loaded onto a stretched chassis with S-Class level legroom for passengers and all the trappings of a limo. 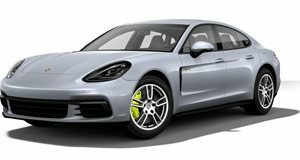 The 0-60 mph time of 3.3 seconds suggests the Panamera Turbo S E-Hybrid Executive is more Porsche sports car than a limousine, so it would be our pick for a young tech entrepreneur or YouTube celebrity that wants everyone to know they have a big bank balance. 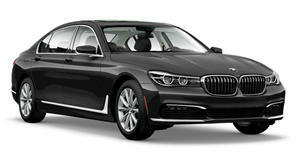 Like the Mercedes S-Class, the M760Li xDrive V12 Excellence packs in everything you need in luxury limo. This would be our executive choice as you may not want to shout to loud about how much money you have when you’re being delivered to a meeting to finalize an important deal, but you'll want people to know you're no slouch either. The biggest highlight of this executive barge is that it's the only V12 model still produced by BMW, and it's a silky smooth 6.6-liter twin-turbo that'll propel you to 60 mph in 3.6 comfortable seconds. The Long Wheelbase option adds an extra 7 inches to an already spacious rear passenger compartment of the standard Autobiography model. The SVAutobiography packs little in the way of compromise, and features a 5.0-liter supercharged V8 for when you absolutely positively have to reach the airstrip before the federal authorities catch up. 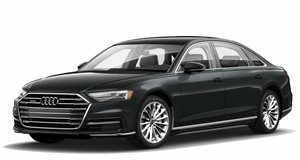 Audi isn’t the first company that springs to mind when you think of executive class chauffeured vehicles, but Audi has quietly been going about its business of pushing the A8 into the forefront of modernity, sober style, and serene comfort. The A8 L would be our pick for someone that needs to be driven around because they need to get things done rather than because they would rather not deal with the traffic. 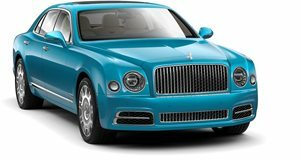 The Bentley Mulsanne is a statement of style and taste for those that think the Rolls-Royce Phantom is a little too gauche. The interior is beautifully crafted and the standard electric privacy curtains let you know how much attention to detail has gone into building something that will get you where you want in the vehicular equivalent of club class. 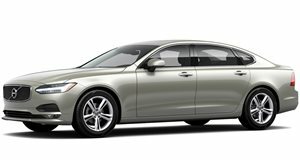 If you don’t want something with German DNA, then the Volvo S90 is a definite contender. Inside, it’s all about simplicity, refinement, and technology. The looks are restrained, and the space inside is more than ample. The S90 isn't the best in class, yet, but it is the unconventional choice for those that want to slip outside of the status quo. If the S-Series flies too far under the radar and you want to click the lux-o-meter up to max opulence, the Maybach line is where you’ll land. 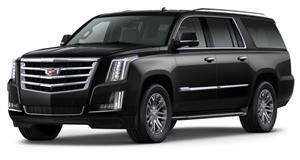 While the other cars on this list are almost-limos, the Pullman is a pure limousine. The S650 Pullman is for international executives, political world leaders, and stinking-rich new-money ballers alike. It clocks in at six and a half meters and, for those that fear assassination, the Pullman Guard version is armored to the hilt and weighs in at 5.6 tons. 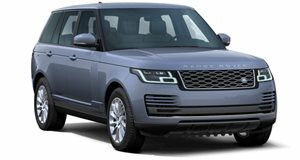 If you want to keep things American or are a hands-on kind of businessman that needs plenty of cargo and towing capacity, then the ESV designation delivers all of the upscale features as well as an extra 20 inches in length. While a top-spec Escalade comes with a boatload of prejudice and cliches attached, at over $100,000 ticking boxes, this is for those that know what they like and care little what others think.